Storage for all. 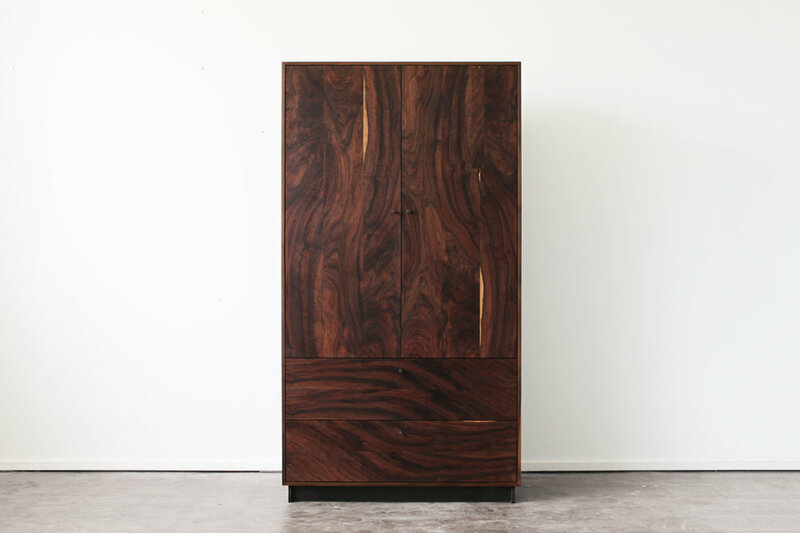 Two expansive drawers, a low shelf and integrated brass hang rod hide away a full wardrobe. Case available in walnut, oxidized oak or bleached ash with a blackened steel base. Fronts available matching the case, claro walnut, or oxidized maple.